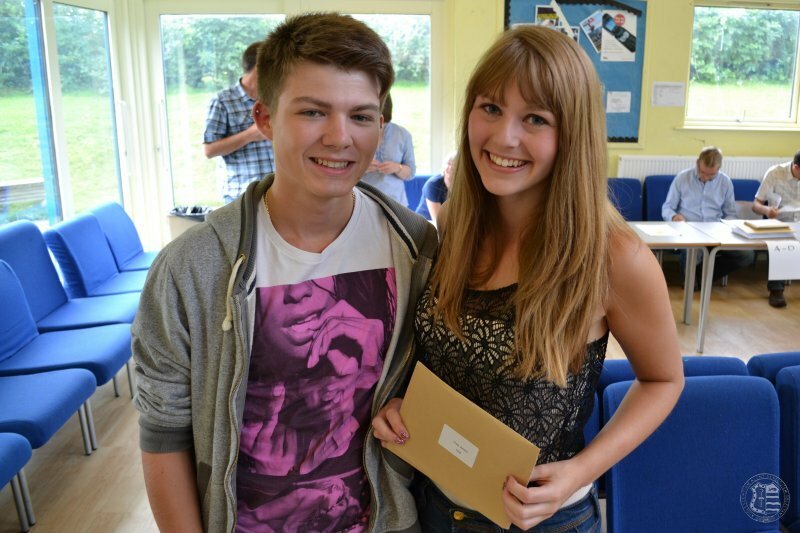 We are pleased that we have another set of very good A Level results. The pass rate is 98% with 52% achieving A*/A/B grades. A quarter of our results were A*or A grades. The average point score per student has surpassed 800 for the first time ever at 812 points. We would like to congratulate all our students; their hard work has certainly paid off. Their results reflect the determined and sustained effort they have invested. There have been some superb individual results with Geoffrey Ma achieving 4 A* grades and Will Clay, Zach Field and Eleanor Robinson achieving 4 A*/A grades. A further 8 students, Amith Balage, Anya Elvidge, Louise Holliday, Jade Johnson, Eleanor Johnstone, Devon Legge, Abigail Nixey and Jessica Prew, achieved 3A or A* grades. These are fantastic achievements for these students. We again have two successful Oxbridge entrants with Geoffrey Ma reading Engineering at Cambridge, and Rosie Cooper reading History at Oxford. A further 4 students, Will Clay, Zach Field Jessica Prew and Eleanor Robinson will all be studying medicine at their chosen universities. We would like to thank our A Level teaching team and the staff who support them for all their hard work in preparing our students for these crucial examinations. Along with the support of parents this has enabled our students to reach their potential. Well done everyone. We wish you all the best in the future.